Brendan Fevola commonly known as ‘Fev’ played with Carlton and Brisbane Lions football clubs between 1999 and 2011. Fevola is regarded as one of the most effective full-forwards to have played AFL in the 2000s, having won the Coleman Medal for league leading goalkicker in 2006 and 2009 (kicking 84 and 86 goals respectively) as well as All-Australian selection as a forward three times since 2006. His representative honours include playing for Victoria where he was awarded the Allen Aylett Medal for being the state team’s best player and leading goalkicker. During his career at Carlton, he was the club’s leading goalkicker and key forward from 2003 until 2009. However, throughout his career he has been a controversial figure off the field, which ultimately led to his parting company with both of his AFL clubs. Fevola was a regular panellist on The Footy Show on the Nine Network, and was noted for his larrikin persona, including the 2009 Brownlow Medal Count, the same event which led to the end of his time at Carlton. Following his AFL departure in 2012 Fevola signed to play home matches with Yarrawonga in the Ovens & Murray Football League. Fevola remained at Yarrawonga for four seasons from 2012 until 2015, kicking 357 goals from 65 matches and being part of back-to-back premierships in 2012 and 2013. Fevola starred in the second season of I’m a Celebrity…Get Me Out of Here! which he won and was crowned King Of The Jungle. The prize for taking out the title was $100,000 to be donated to his chosen charity. Felova decided to split the winnings evenly between his chosen charity, Shane Warne Foundation, and series runner-up Paul Harragon’s chosen charity, Mark Hughes Foundation. 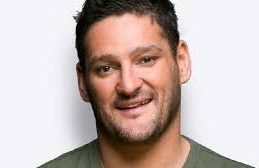 In April 2016, Fevola joined Fox FM to host Fifi, Dave & Fev with Fifi Box and Dave Thornton. Fev speaks on mental health issues surrounding depression and addiction, the importance of getting help and light at end of tunnel etc. Fev is open about his career and off field highs and lows. He shares his story of redemption and he is great at tailoring it for the specific audience. Fev presents a keynote for corporate and sportsman’s night alike followed by a Q & A and doesn’t shy away from the controversial questions but also impresses on the positives, what turned him around and the future.